They know. The first time your new pet enters your home, they may be apprehensive and insecure. But over time as you prove to them that their basic needs are being met, they are in a stable environment, and that they are loved, you will be overwhelmed by their reciprocation and appreciation of your affection. It’s an incredible feeling when your rescued pet trusts you and loves you. Beyond the special and incredibly strong bond you two will form, there are humanitarian reasons to adopt a shelter pet too. 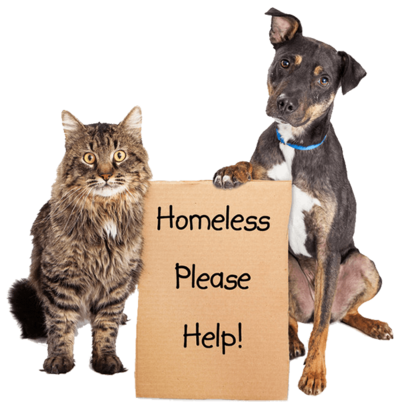 Alarming numbers of these pets come from the streets or abusive situations, rather than loving homes with people who can no longer care for them or have passed on. Ultimately, these animals aren’t “bad” or in any way deserving of the condition they have been put into. You can give a new pet, or even someone, a new lease on life and help them heal, so that they don’t become part of the 2.7 million would-be pets who are euthanized every year. Logistics matter too, and we understand that. Did you know that adopting a pet tends to be considerably cheaper? Purchasing a pet can be two times more expensive than adoption, and that’s a lower estimation. Keep in mind that if you purchase from a pet store or breeder that you’re still responsible for vaccinations, spaying or neutering your pet, and more. Woof. When you adopt, you can avoid that, and many shelters microchip now, too. Wow. Speaking of logistics, let’s talk potty training. When you adopt you’re far more likely to get a pet who already knows where to go, rather than having to potty train your new pet yourself. That means you can save on cleaning supplies, carpet cleaning, pee pads, special litter with pheromones to attract kittens, and more. As you can see, the savings are adding up quickly! Perhaps you still have reservations, though. Maybe you have no idea which breed you would want to bring into your home? Aren’t purebreds better, you might ask? Well, have you ever noticed that inherited diseases are a more major issue for pure breeds such as Great Danes or Pugs, but that “mutts” seem to have some degree of protection? Genetic variation is beneficial for everyone, including your future pet. It’s true that with a purebred you have a better idea of growth expectations upfront, but that only holds true if you get a puppy. If you adopt a young adult, there’s no need to worry. If size isn’t a concern, you can still get a mixed breed puppy and enjoy the surprises their development brings. Still insistent on the purebred? Well, there are breed-specific rescue groups! Finally, even if you’re not out to save the world, you undoubtedly don’t want to support suffering right? Unfortunately, pet stores are notorious for collaboration with and encouragement of puppy mills, whose goal is to churn out as many puppies as possible without real regard for their welfare. There’s a reason the slogan “Adopt Don’t Shop!” has spread like wildfire, so maybe consider it and give your new forever friend a good forever home. For adoptable dogs in Northern Virginia, check out your local county animal shelter or check out our partners at Homeward Trails!